You can restore machines from Veeam Agent backups to Amazon EC2. The procedure of restore to Amazon EC2 from a Veeam Agent backup practically does not differ from the same procedure for a VM backup. 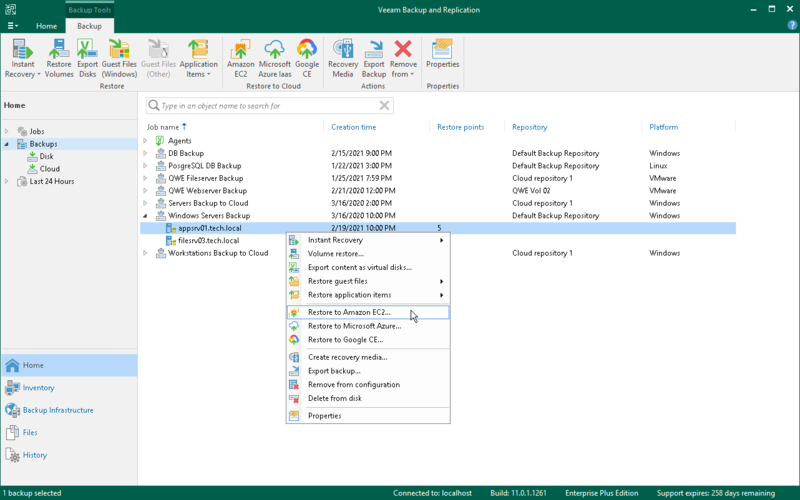 To learn more about restore to Amazon EC2, see the Restore to Amazon EC2 section in the Veeam Backup & Replication User Guide.